When: Tour starts at 09 am. Language: The tour is originally in English. The meeting place of the subcontinent and central Asia, it is also a place where Ancient traditions rub against those of today, where the bazaar in the old city has changed little in the past hundred years. Peshawar Museum, elegant Mahabat khan mosque, Islamic college and Qissa Khawani bazaar are worth visiting places in Peshawar. 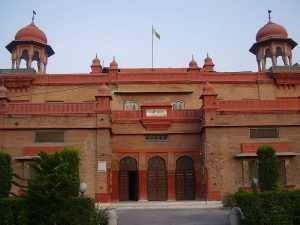 The Peshawar Museum is a museum situated in the historic city of Peshawar, Khyber Pakhtunkhwa, in Pakistan, which is renowned for its collection of Gandhara art. 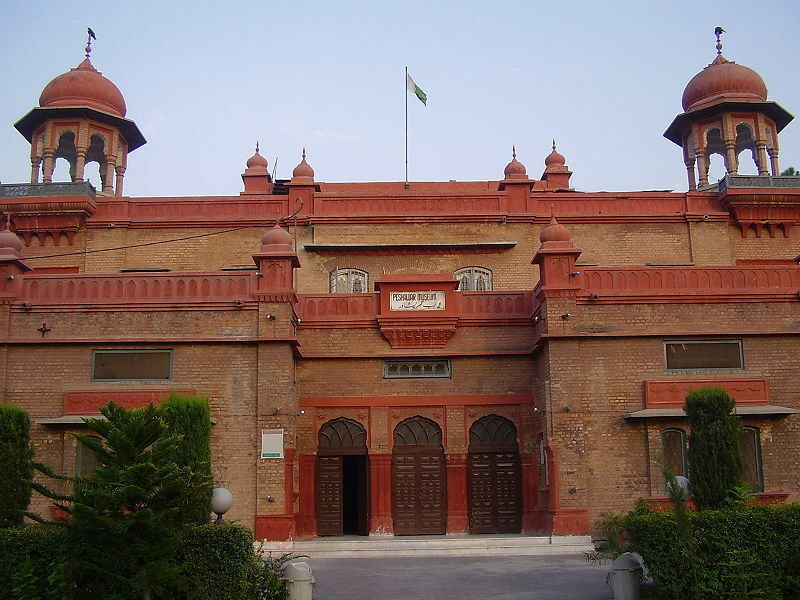 The Peshawar Museum was founded in 1907 in memory of Queen Victoria. The two-story building features an amalgamation of British, South Asian, Hindu, Buddhist and Mughal Islamic architectural styles. Originally, there was only one main hall. Two halls were added in 1969–70. In 2004–05, an additional block was completed with two galleries, two halls for the reserve collection, offices for the provincial directorate of archaeology, a conservation laboratory and a cafeteria. The original building was renovated during that time. The current collection has almost 14,000 items based on Gandhara, Greco-Buddhist, Kushan, Parthian, and Indo-Scythian life. Examples include art, sculptures, coins, manuscripts, statues, ancient books, early versions of the Holy Quran, weapons, dresses, jewelry, Kalash effigies, inscriptions, paintings of the Mughal and later periods, household materials and pottery, as well as local and Persian handicrafts. The Mahabat Khan Mosque sometimes spelt Mohabbat Khan Mosque, is a 17th-century Mughal-era mosque in Peshawar, Pakistan. 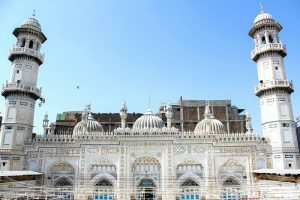 The mosque is named after the Mughal governor of Peshawar, Nawab Mahabat Khan bin Ali Mardan Khan, known alternatively as Mahabat Khan and Ali Mardan Khan, who served under Emperors Shah Jehan and Aurangzeb. The Mosque was built between 1660 and 1670, on what was the highest point in the old city. The minarets of the Mohabbat Khan Mosque were frequently used in Sikh times for hanging prisoners, as a substitute for the gallows. Following the Soviet invasion of Afghanistan, refugee tribal elders would congregate in the mosque in order to forge unity amongst Afghans against the Soviets. Sethi Mohallah is an area in the heart of the walled city of Peshawar, Pakistan. The mohallah contains seven houses (including Sethi House a cultural heritage) built by the Sethis. These unique houses are a blend of the art and architecture of Gandhara and Central Asia, are rare architectural masterpieces located in the walled city. The house currently with Directorate of Archeology was completed in 1884. The Sethis were traders who had businesses in China, India, Afghanistan, Iran and Central Asia, with trade centers at Mazar Sharif, Tashkent, Bukhara, Samarqand and other cities in the Asian region. The Sethi family was involved in considerable welfare work in Peshawar and had contributed to the construction of wells for the poor, along with the Lady Reading Hospital and the Islamia College Mosque. city lies at the edge of the Historic Khyber pass. The city is well known for its historic & cultural values. Peshawar has seen many invaders and travelers passing it by,from around the world.